Upending the long-held consensus that personality is relatively fixed after childhood, Dr. Gary Small says new findings indicate that not only can people change their personalities, they can do so well into their older years. Larry King: Can you change at age 60? Dr. Gary Small: The studies included research subjects from ages 19 to 73, so age should not be a factor. In fact, in my own practice, I've seen many older people who are much more willing and motivated to change than many younger people. Larry King: Do most people, are they self-aware enough to know what to change? Dr. Gary Small: Well, that's where the book tries to help them, and it's really a systematic approach where you begin with understanding your own personality strengths and weaknesses and then setting your goals. Do you want to improve your relationships? Do you want to succeed more at work? And once you've done that, you can align your goals with the personality change required. So, let's say you're having trouble getting ahead at work and you find out that you're not a very conscientious person, then you can focus on becoming more conscientious. Or maybe you're disagreeable and you alienate people. There are exercises, therapy strategies to make you more agreeable. So, it's a question of analyzing what the issue is, what your goal is, and then moving forward. Larry King: Same for men and women? 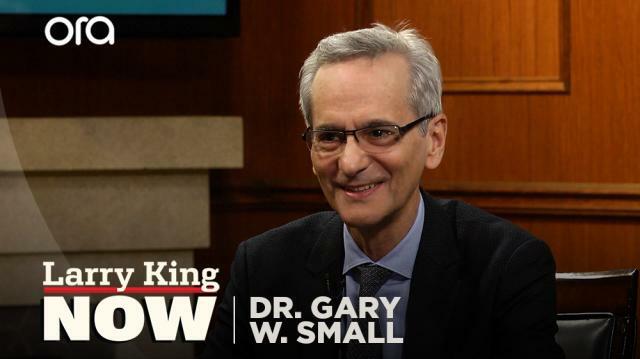 Dr. Gary Small: Well, certainly women tend to be more amenable to therapy than men. So, in some ways, you'd expect women to grasp this more. Yet, it's surprised me since I've been going on the book tour, when we have the call-ins, we see a lotta men calling in, wanting to change as well.